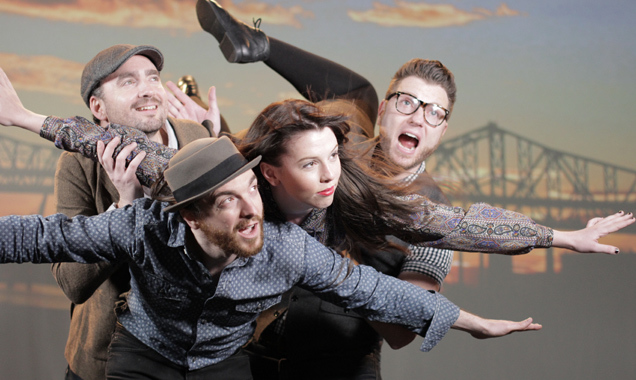 It would seem some serious mojo is brewing for the Boston band Air Traffic Controller. The group’s newest single “The House,” was nominated for Song of The Year at The Boston Music Awards last month and now they’re schedule to play a January 30th gig at the house of a rock ‘n’ roll legend. 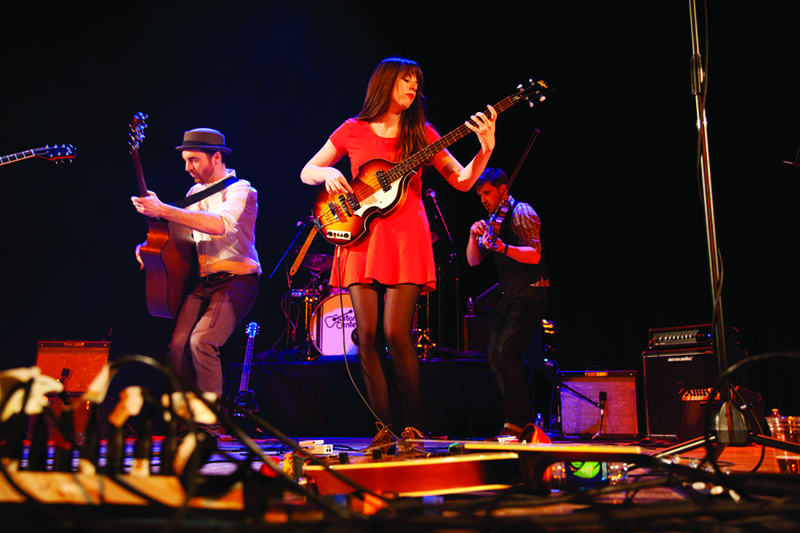 ATC will grace the stage at Daryl’s House, the newly opened restaurant and music club in Pawling, New York owned by Daryl Hall. The club opened in November and now serves as the new location for Hall’s award-winning, web-to-cable music talk show, Live From Daryl’s House, which was formerly filmed in Hall’s actual house. The new Daryl’s House also serves as a dream come true for Hall, who always wanted a club of his own to showcase live music for the public. ATC’s frontman, Dave Munro, said the band — which is also slated to release a new album this year — is looking forward to a unique show in Hall’s new House. HOWL: How did Air Traffic Controller land a gig at Daryl’s House? HOWL: Were you familiar with the show and venue beforehand? If so, was there a band that performed that was your favorite? Dave: The venue was news to me, but I was very familiar with the TV/Internet show. The best episode was with one of my favorite bands, Guster, also from Boston. The performance was incredible; you could see how genuinely excited they were to be playing with Daryl. It’s always special to see Daryl add his signature style to someone else’s song. 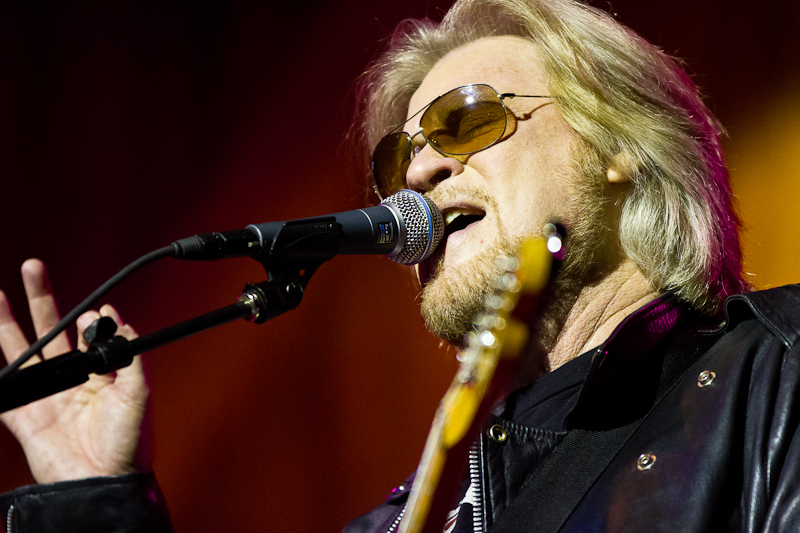 HOWL: Has Daryl Hall’s music had any personal influence on you or the band? Dave: When I was a kid, I got a musicians magazine in my Christmas stocking, and on the cover was Daryl Hall surrounded by keyboards. Soon after that, I got my first Casio keyboard and was trying to play along with my older brothers. Eventually I ditched the keys and learned guitar, but I can safely say that Daryl made me want to play music. HOWL: What are you looking forward to most about playing at Daryl’s House? Dave: I’m looking forward to performing at a state-of-the-art venue in front of a new audience. Pawling New York is small town off the beaten path, and I’m sure the homey vibe of Daryl’s actual house will carry over to this club. The TV show also always features professional chefs cooking amazing meals for the musicians. I have a feeling Daryl has put a lot of thought and care into the menu at the club. HOWL: Did Daryl get in touch with you, and if so, how did he become a fan of your work? Dave: I haven’t had the opportunity to meet Daryl, I’m not even sure he’s heard of ATC yet. He’s a busy guy, still making unbelievable music and playing shows. The fact that he has been able to launch his own show, and now venue, says a lot about his work ethic. He doesn’t need to do all this, he’s Daryl freakin Hall! He does what he loves, and that has made him very successful over the years. He is a living working legend. HOWL: From sending home your first 4-track demo in the US Navy as a real-life air traffic controller to now, would you consider this to be a milestone? Dave: I’ve always been a huge fan of Daryl, and his show Live From Daryl’s House. I’ve seen every episode! So having the opportunity to play at his own venue is surely something I’ll never forget — a personal milestone for all of us. HOWL: You’ve had some great successes as a band these past few years; a successful tour in London and winning a New England Music Album of the Year award for NORDO. What do you have planned for 2015? Dave: We plan to release a new album. This record features more of another songwriter in the band, Casey Sullivan. She is like my Oates! I’m kidding, but there are more duets and solo songs by Casey and we’re so psyched to show everyone what the whole band has been working on. ATC’s newest single “The House” was nominated for Song of the Year by the Boston Music Awards. Their song “You Know Me” was recently recorded live by Bose and is being featured in stores all across the country. The band is also scheduled to return to play the SXSW festival in Austin, Texas on Tuesday, March 17th. Be sure to follow them at airtrafficcontrollermusic.com for future news and tour dates.